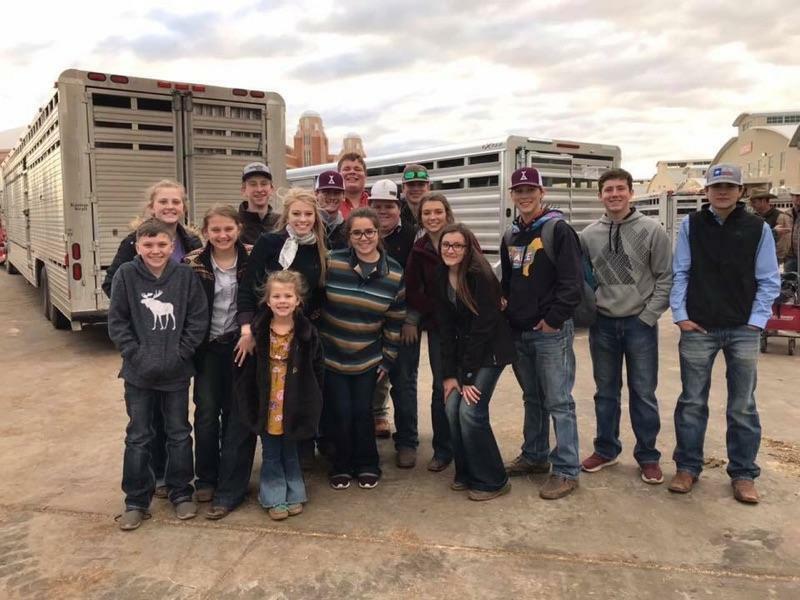 Twenty four EB FFA members recently attended the Fort Worth Stock Show to show various animal projects and compete for scholarships. Cade Boettcher showed a market lamb project. 23 members showed Breeding Beef Heifers. Results are as follows. While at the Heifer Show, 5 seniors competed in the Beef Challenge Contest for a chance at scholarships. Hannah C., Abbey S., Dalton S., Jenna L., and Zach V. started the competition with 75 other competitors by taking a test over Beef Industry knowledge. 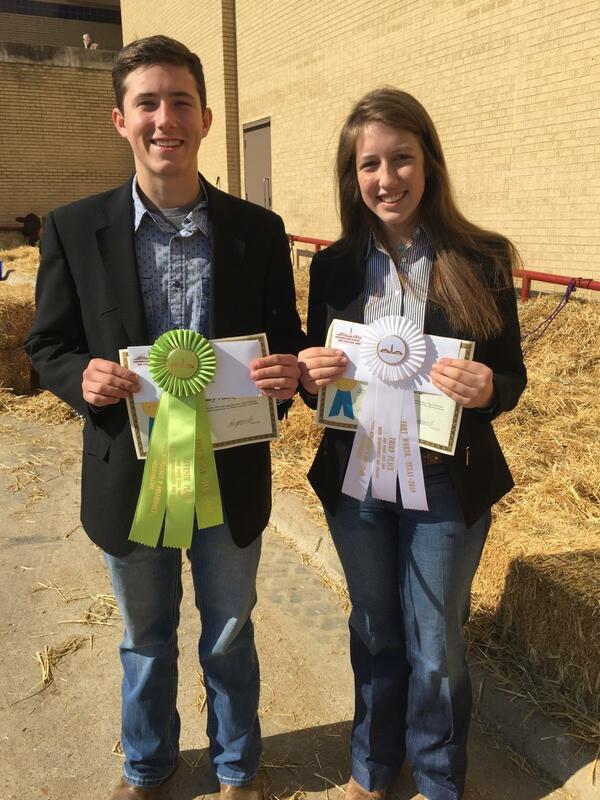 Jenna and Zach made the finals of 13 competitors and presented a sales talk about their breed of heifer. The Top 7 were awarded scholarships. Zach Vacek placed 7th and won a $6,000 scholarship and Jenna Le Blanc placed 3rd and won a $10,000 scholarship. 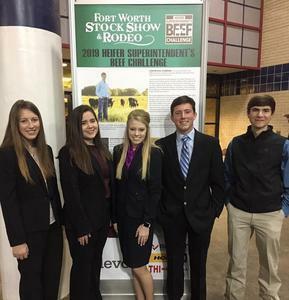 This is the 4th year in a row that EBFFA has won scholarships in the Beef Challenge making our total scholarship wins of over $60,000 from this one contest. Way to go EBFFA!!!! Congratulate these kids on a job well done! San Antonio Stock Show will be the next major show FFA members will attend.